We are now on Facebook. Why not follow us! Our DoctorDoctor project continues to collect photographs and stories relating to local healthcare in the past. We love this photograph kindly made available by Gillian Bennet of Dr Thomas Sharples and his son Dr Sydney Sharples in the garden at Dardsley. The ladies are perhaps their wives. 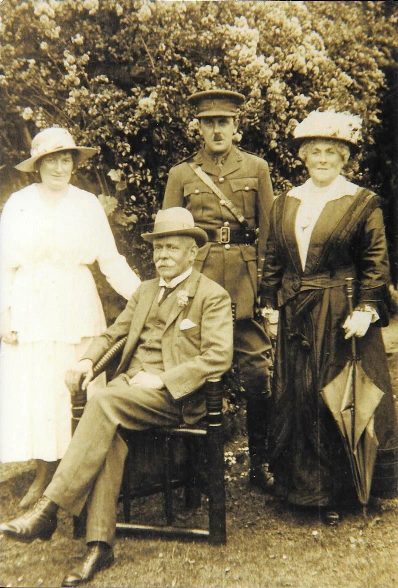 Sydney's military uniform suggests it dates to the time he was serving in the First World War until his father persuaded the War Office to send him home to help with patients. The much quoted story that Sydney at one time had a Chaplin/Hitler moustache seems to be true! Hopefully we have now resolved some early glitches in the new phone system. When you call us now, you first receive a greeting message and a reminder that the more information you can give to our trained receptionists, the more they are able to direct you to the appropriate service. You are then given your position in the queue, updated each time a call is completed. At busiest times we have 3 staff answering the phones. When one of the reception phones is unattended it is logged out so no calls are directed to it. We think this is a big improvement on the old system in which callers had no idea how long their wait would be, and unattended phones could be heard ringing unanswered in the waiting room. But tell us what you think. A reminder that our new number is 01772 529329, although the old number 01772 518080 will redirect you for a few weeks. We have opened in our new home at Dardsley, Brownedge Road on 18th March! 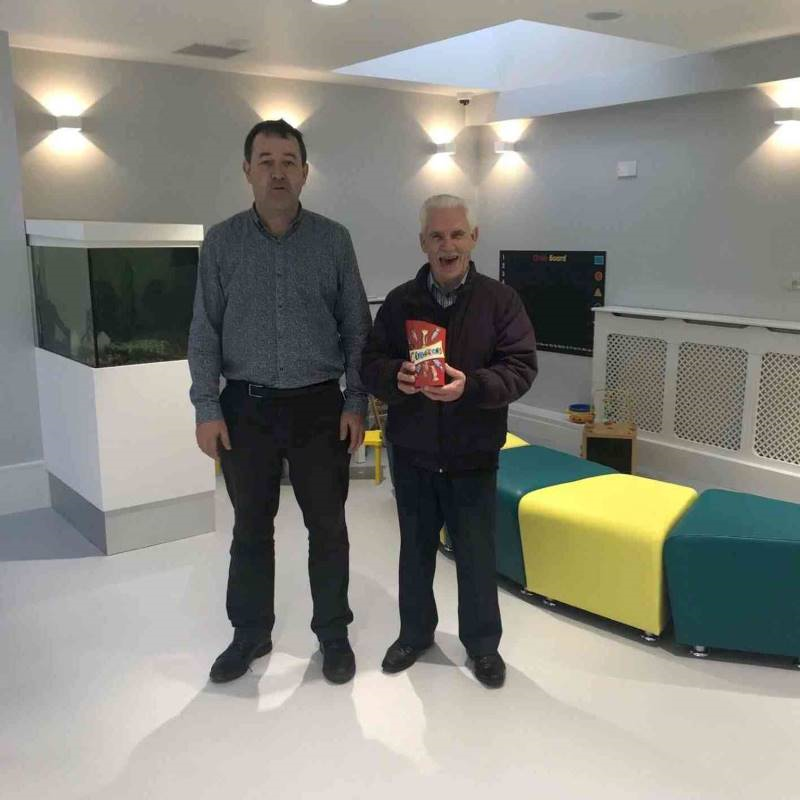 Mr Clarence Drinkwater as the first patient through the doors received a box of chocolates from a pleased but tired Practice Manager. Please note our new telephone number - 01772 529329. But the old number will redirect you automatically for a while. Our Doctor Doctor project that is looking into the history of Dardsley our future home has finally managed to track down a photograph of Dr Sydney Sharples, the last doctor to own the building. Gill, our able researcher, has found a brief article and small image from the local newspaper archive, that records Sydney's death in April 1948, only a few weeks before the launch of the NHS. Slowly, but surely work progresses. We hope to announce a 2019 opening date for our new home very soon. Our #DoctorDoctor project is revealing the fascinating history of the building during WW1 at a time we are all commemorating the Armistice centenary. 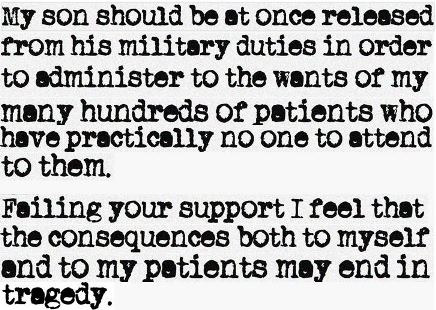 In April 1916 old and sick Dr Thomas Sharples wrote to the War Office asking for his son Captain Sydney Sharples to be sent home to Dardsley to take over running the practice for the many patients it served in Lostock Hall, Penwortham and Walton-Le-Dale. In June the Army agreed to his request. Work on this wonderful Victorian building to prepare it as our new home is progressing, but at times quite slowly. Some damp here, a leaky roof there. But we will get there! 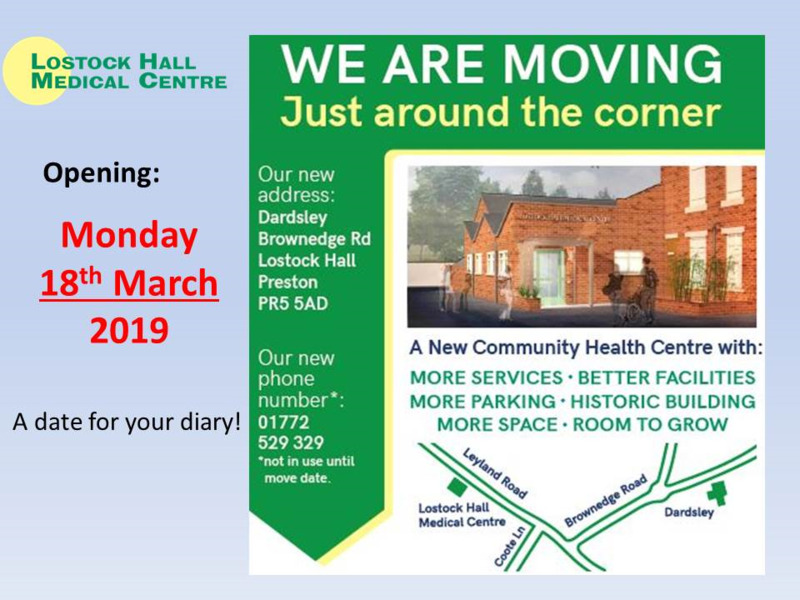 To celebrate the 70th anniversary of the founding of the NHS and the move of Lostock Hall Medical Centre to a new improved site at Dardsley on Brownedge Road, in partnership with Lancashire Museums we are gathering stories of local people about changes in healthcare in the area. To preserve these memories, the results will be presented in a display at Dardsley and at other community venues. We will also create memory boxes of photographs and objects that bring to life the changing experience of going to the doctor and celebrate Lostock Hall life. These boxes will later be used in care homes and community settings in the local area to help start further lively conversations. We had a very aimated first workshop at the Age Concern Friendship Centre, Lourdes Avenue, Lostock Hall on Wednesday 3rd October. Participants shared their stories including: seeing Dr Sharples at Dardsley in the 1940s, working at the Prescription Pricing Authority at Dardsley in the 1970s and 80s, doctors helping the wounded after the 1940 bombing of Lostock Hall, doctors attending the birth of babies at home and Dr Cohen's upstairs waiting room - patients had to agree who went in next! More workshops dates will be announced soon. We hope to record some of the stories on film. The project is still recruiting volunteers to help record stories and lead future community workshops. Contact the practice if this would interest you. Or if you have some photographs of doctors, nurses or patients in the local area from past times, we would love a copy. 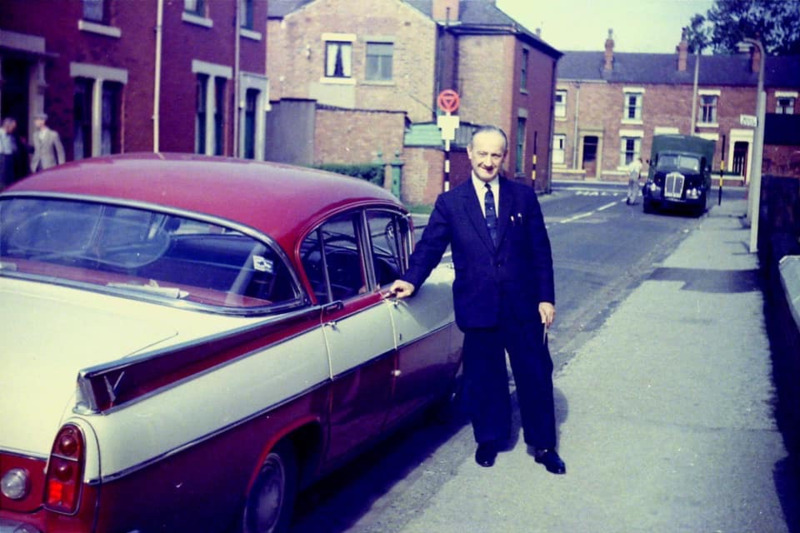 Keith Coles recently provided this great image of the much respected Doctor Cohen outside his Coote Lane surgery. 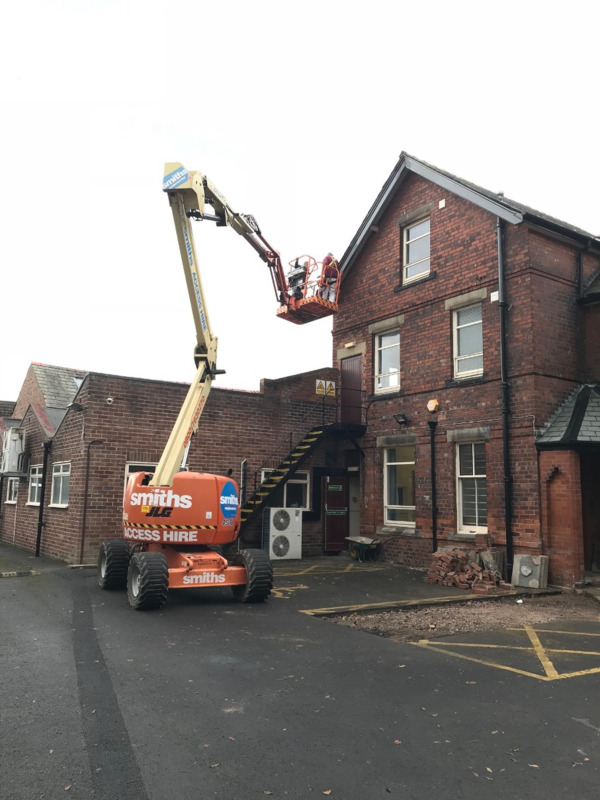 We are relocating to a new home, Dardsley in Brownedge Road. 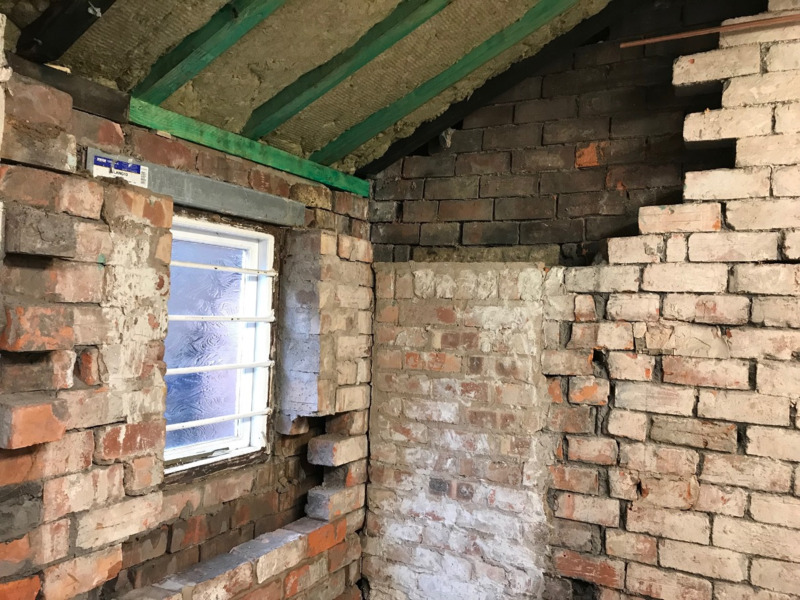 Building work has now (1 October) started being led by R. Walker & Sons and Francis Roberts Architects. We expect to open Winter 2018/19. 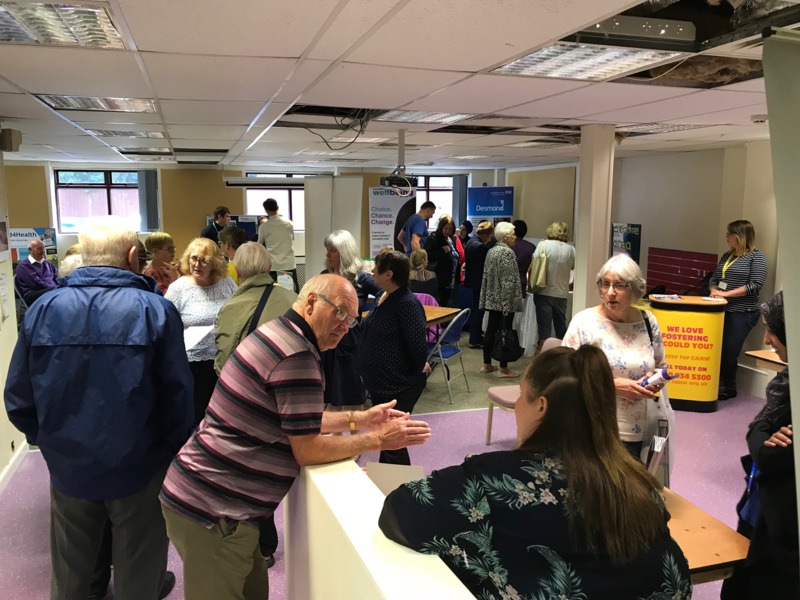 At our preview event on Saturday 21 July the 320 people who attended were very positive about our plans for the new centre - 93% expressing a view said that they are excellent or good. 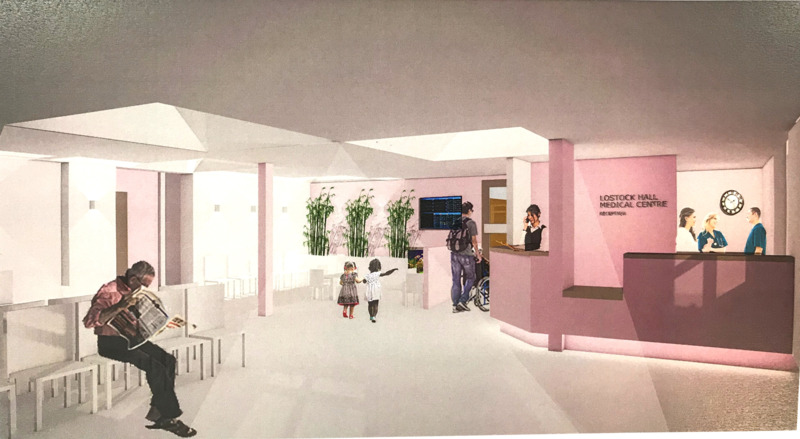 (7% said they were ok23).The architect visualisations of the Entrance and the Waiting Room below give you a quick idea of what is to come! 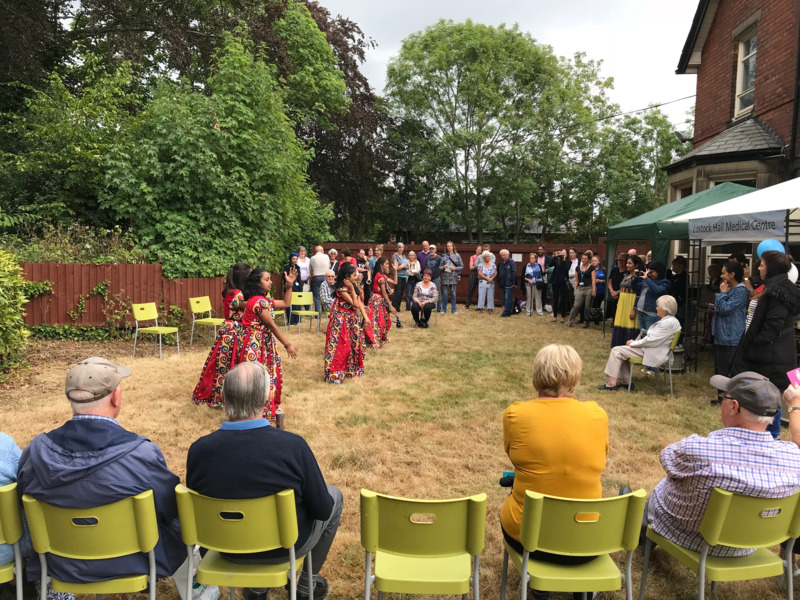 Thank you to everyone who attended - patients, health & well-being professionals, Lostock Hall Memorial Brass Band, Abhi Dance Academy, Soul Shaking Dance & Movement, Lancashire Museums, local people with an interest in the history of Dardsley and health care in Lostock Hall, Patient Forum members, volunteers and staff. 320 people in all! Many thanks also to the Heritage Lottery Fund that made it possible. Look out for updates on #DoctorDoctor, a report on the event and further news about our plans to relocate to Dardsley. 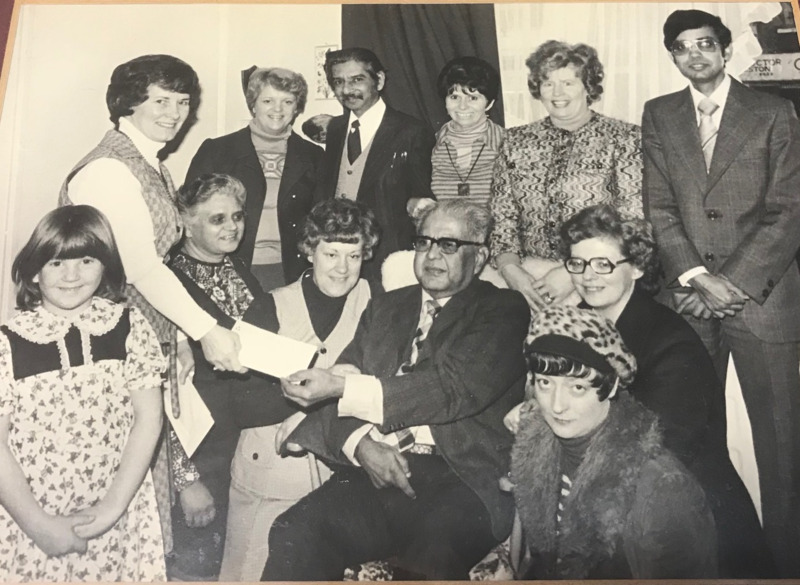 We are pleased to announce that we have been awarded a prestigious Heritage Lottery Fund grant for a project to collect and share memories of health care from the last 70 years or more. Our contribution to NHS70, the celebration of the 70th anniversary of the NHS this year. We will also research the fascinating history of Dardsley, our future new home, a doctor's house from the 1890s and the base for the Prescription Pricing Authority for 50 years until 2008. Do tell us of any stories you have about going to the doctor in Lostock Hall or visiting or working at Dardsley. Do you have any photographs, documents or objects you could show us? Come and speak to us at our stand at the Lostock Hall Carnival on Saturday 7th July. Or attend our forthcoming launch event on Saturday 21 July. 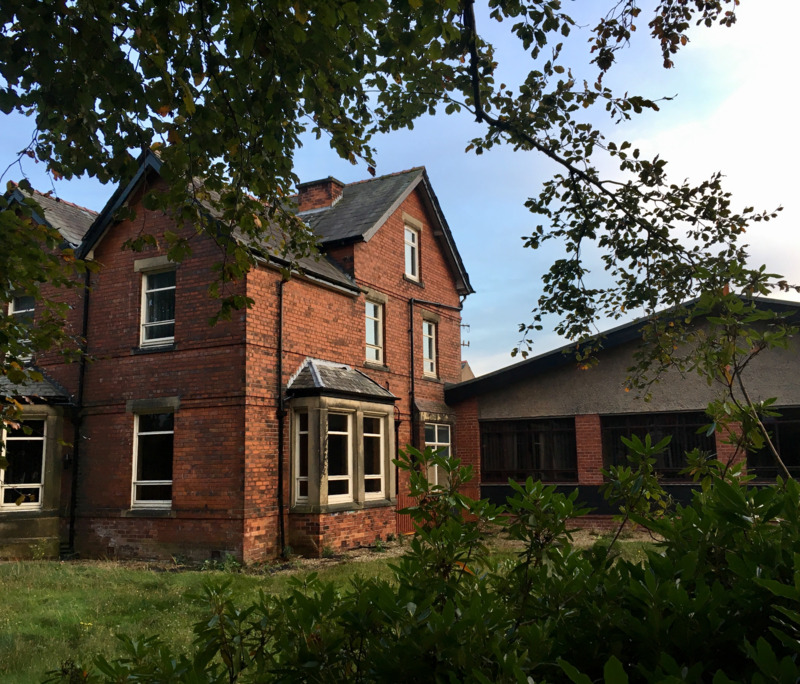 On 29 September 2017 the practice purchased the site on Brownedge Road. 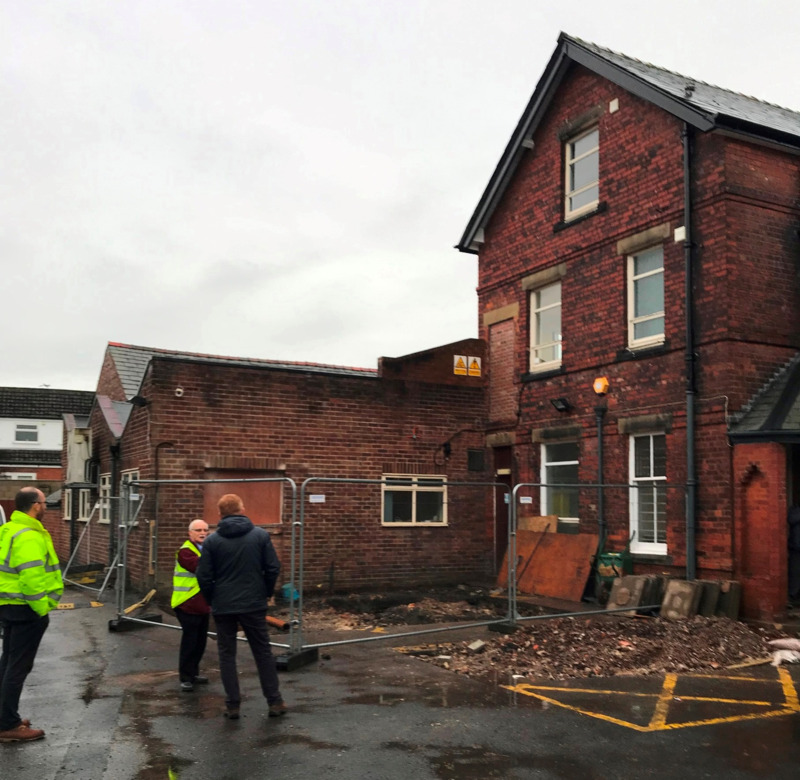 It will be developed as the new site for Lostock Hall Medical Centre to open Autumn 2018. Dardsley was previously a doctor's house up to about 1950. As a child did you ever go there as a patient? We would love to hear your memories so we can share them with other patients. 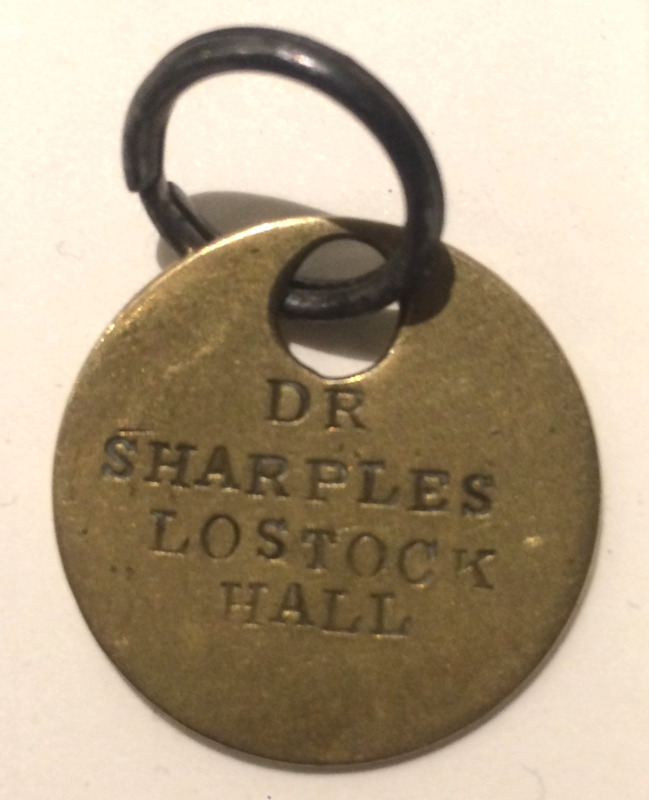 Does anyone know of any photographs of the building from that time or of Dr Sharples and Dr Cohen who worked there? Write to us or leave your details at reception so we can get in touch. 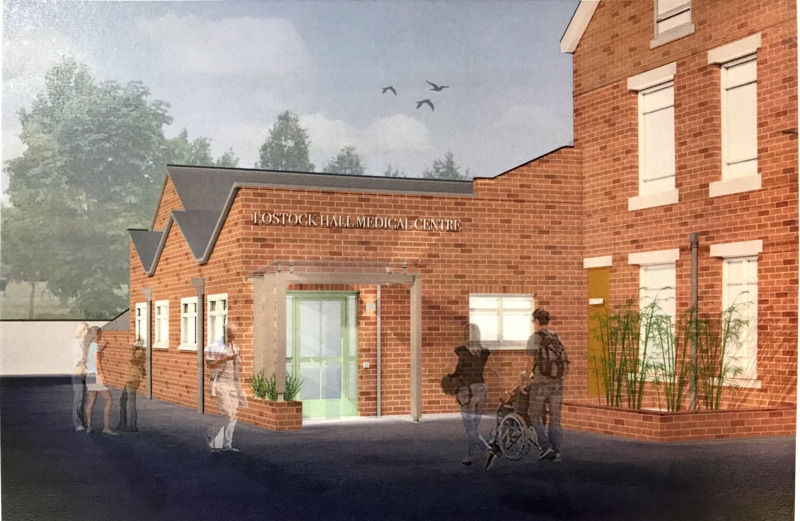 Thank you to all patients who took part in the consultation over the proposed relocation of the practice to Dardsley House, Brownedge Road. We were pleased that 98% of patients who expressed an opinion were in favour of the move. This evidence helped us secure NHS / Greater Preston CCG approval for the move at the Delegated Commissioning Committee meeting on 2 August 2017. An inspection of the practice by the Care Quality Commission on 26 June 2017 and resulted in an overall rating of GOOD, with some areas for improvement. We have now completed the improvement plan and so our rating has been upgraded to Good In All Areas! See a link on our Home Page to see the full report on the CQC website. Saturday morning clinics continue in 2019 - 2 per month. See dates on our website or ask reception staff during the week for confirmation of whether the surgery is open the following Saturday. We understand that sometimes it can be difficult calling in to book appointments and order prescriptions over the phone, but did you know that you can do this online? We offer this service to all our patients and if you are interested please come in to the practise and ask for login details at the reception. The weekly smoking cessation clinic every Friday morning is temporally on hold until we open at Dardsley. If you are interested in taking part in our Patient group, or a larger virtual Patient group please enquire at the reception in our practise.